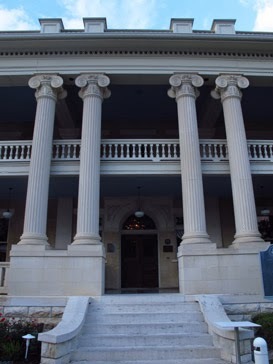 Although updated, Hotel Ella remains an historic mansion. Austinites who loved the traditional restaurant and inn at the lovely old Mansion at Judge’s Hill might be wary about visiting the newly remodeled hotel and restaurant for the first time. But there are good reasons why the updated and renamed HotelElla was recently touted as Austin’s Hot New Boutique Hotel by Fodor’s. 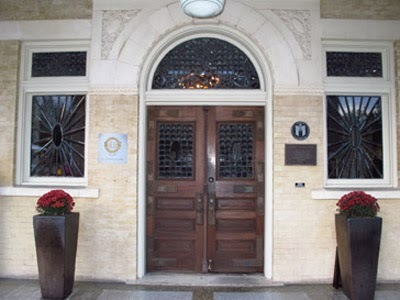 The $5 million renovation, completed in September 2013, has also earned it designation in the collection known as Small Luxury Hotels of the World. Among the amenities added by the hotel are a lap pool with bar and private cabanas in the courtyard. 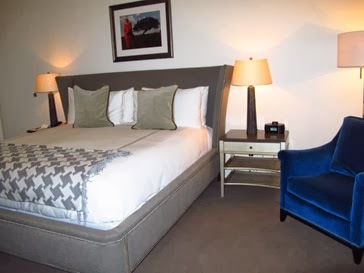 All rooms feature complimentary Wi-Fi, 24-hour in-room service, twice daily housekeeping, and complimentary transportation within a five mile radius of the hotel. And it’s pet-friendly. The formerly traditional restaurant has been transformed into an expansive, modern facility called Goodall’s Kitchen & Bar. The restaurant features local ingredients and original cocktails inspired by Dr. Goodall’s long-ago remedies. The update of Goodall's Kitchen & Bar feels very comfortable. 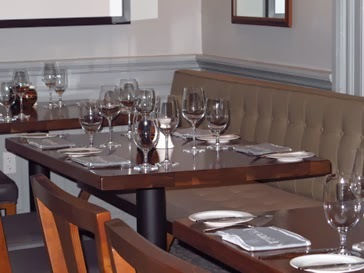 Outfitted with updated art work and contemporary seating arrangements including long benches along the walls, the restaurant includes menu items like Texas Bruscetta and olive oil peached dewberry chicken breast. For dessert sample peanut butter-banana sorbet or almond cake with fresh berries and basil cream. French toast and omelets at Sunday brunch are favorites of both guests and locals (The restaurant is open to the public). Clean lines make rooms in the main house classy. Located just minutes from the central business district and The University of Texas, Hotel Ella occasionally offers special rates on the website, especially when notable sports or other events take place in Austin.